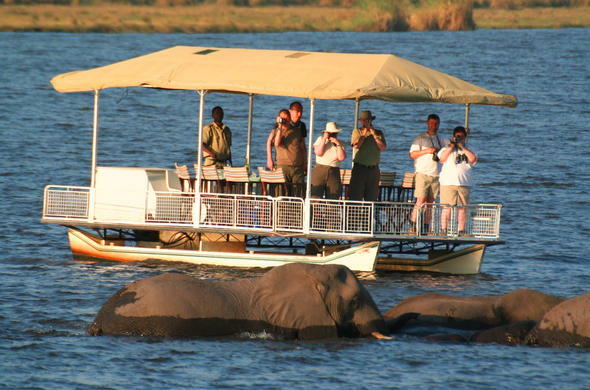 During the 5 day Classic Fly-in Chobe and Savute Safari Package you'll experience the amazing wildlife of the Chobe National Park which is known for its vast herds of Elephants. Our 5 day Classic Fly-in Chobe and Savute Safari package allows you to explore the famous Savute region. The Savuti River floods and dries up seemingly on a whim. However it is actually due to movements in the Earth's surface. For most of the last century this area was dry as the river did not flow, now that the river is flowing it is lush once more. Come and experience the magnificent wildlife of the Savute region. 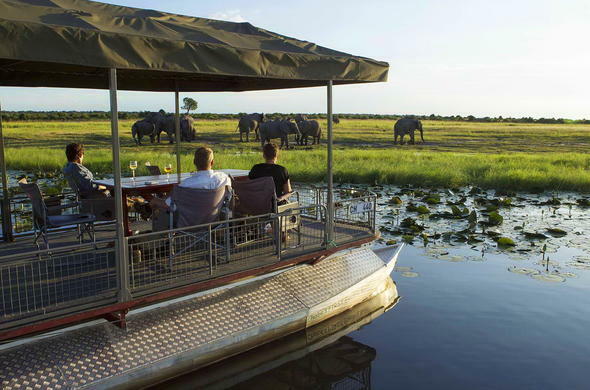 As part of this Botswana tour you can explore the area while on exciting game drives, walking safaris and on trips in a traditional boat called a mokoro. The region is renowned for its incredible game viewing, and you will see large herds of plains game. The region is known for groups of lonesome Bull Elephants and a pride of Lions that used to hunt Elephants. 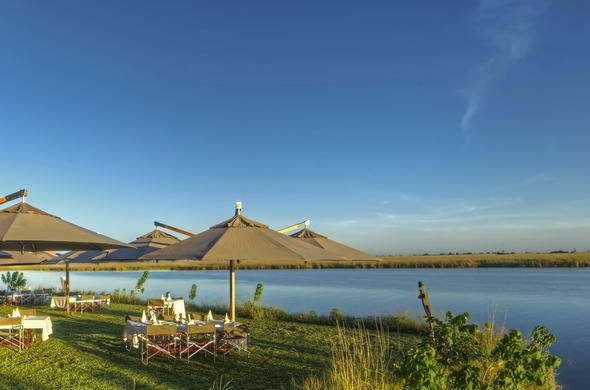 You'll then move on to the renowned Chobe region. Here you'll explore the floodplains along the Chobe River and see the biggest herds of Elephants in the world, as well as Giraffe and rarer animals such as Sable and Puku. This area is also excellent for birding enthusiasts, and in the winter months you can see Carmine beaters, Spoonbills and many species of waterfowl. This safari is a great extension of a tour to Victoria Falls. 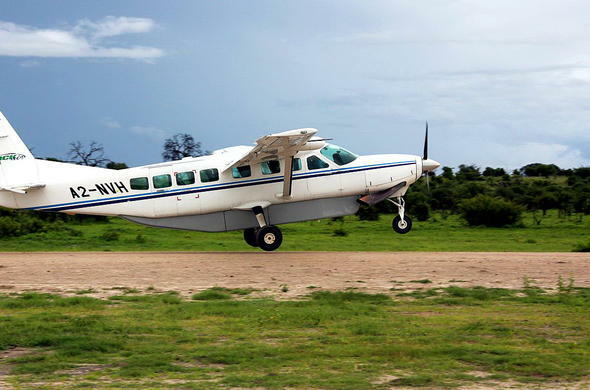 On the first morning of your 5 day Classic Fly-in Chobe and Savute Safari package you will catch a flight from Johannesburg O.R. Tambo International Airport to Maun. Your Botswana safari experience starts with a light aircraft flight from Maun to the Savute airstrip. You will be transferred to your safari lodge where you can relax and enjoy a refreshing drink with a light lunch. 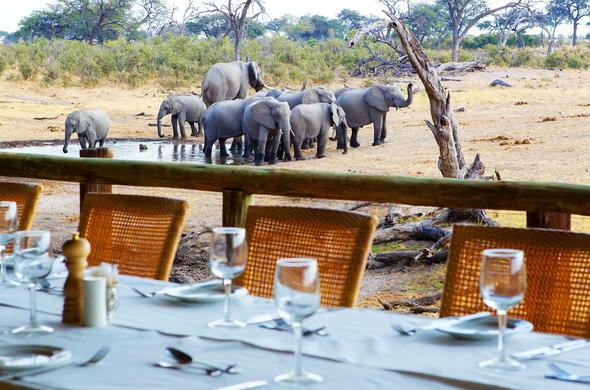 Following afternoon tea, you will be able to set off on your first game viewing activity in the late afternoon. You'll have an early morning wake-up call, followed by a cup of coffee or tea and snacks before exploring the area on an intrepid game drive. The safari lodge is situated on the Savute Channel overlooking a waterhole which provides fantastic game viewing without leaving the lodge. Morning and evening game drives are conducted by professional safari guides, who will unveil the secrets of the wild African bush. These game drives are conducted in open 4x4 vehicles.After a delicious brunch, you will have time to relax before heading out on an excursion to the Gubatsa Hills which are home to Leopard and Klipspringer. The Hills also contain San rock paintings of early man's wildlife encounters. Today you will enjoy one last early morning game drive and breakfast before catching a light aircraft flight which will take you from the Savute Airstrip to Kasane. There you will be met by your new guide, and take a road transfer into the Chobe National Park, where you will spend the next 2 nights.You will be in time for a refreshing lunch before heading out on your afternoon game drive during which you will see large herds of Elephant, Buffalo and Zebra. You may even be lucky enough to see Puku antelope. You'll enjoy sundowners in a scenic location before heading back to the game lodge to enjoy a sumptuous African inspired dinner. The smell of freshly brewed coffee herald's the new day. You'll enjoy a light snack before heading out on your morning game drive. 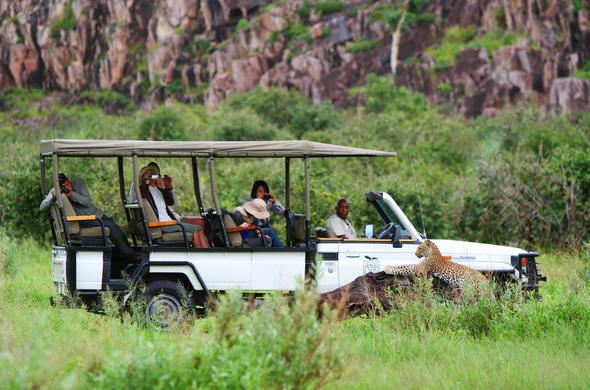 You will explore the region and see lots of African wildlife, including Lion, Hyena, Cheetah and Leopard. You'll also see many antelope such as Impala, Wildlife and Tsessebe.In the afternoon you can enjoy cruising down the Chobe River, this is a great chance to see Hippo as well as the many Elephants and other wildlife that comes down to drink at the river. You'll stop off in a scenic spot for refreshing sundowners. You'll return to the game lodge and enjoy a sumptuous dinner out on the deck. On the final morning of your 5 day Classic Fly-in Chobe and Savute Safari package you will be able to enjoy one last early morning game viewing activity and breakfast. You will then be transferred back to Kasane Airport, where you will catch your connecting flight through to Johannesburg O.R. Tambo International Airport. This Classic Fly-in Chobe and Savute package is based on a 5 day fly-in safari to Chobe National Park for 2 guests sharing en-suite accommodation. This Chobe safari is all inclusive of meals and scheduled activities with flights ex/to Johannesburg O.R. Tambo International Airport. The flight out of Kasane to Johannesburg has set departure days on Monday, Wednesday, Friday and Sunday. It is possible to combine this Botswana package with a visit to Victoria Falls (Zimbabwe) or Livingstone (Zambia) or the Okavango Delta. Rates may vary depending on the season and daily currency exchange rate.